As consumer debt levels soar and baby boomers approach retirement, the federal government is looking at adopting a long list of measures designed to prod Canadians into making smarter financial decisions. The measures recommended by a federal task force cover a wide range of initiatives. Employers who offer pensions would be required to automatically enroll employees and escalate their contributions, so that employees would have to opt out rather than opt in. Financial institutions would be forced to simplify and improve information available about everything from mortgages to mutual funds. Tax breaks would be offered for workplace financial literacy programs, and students would be taught more about debt if they take out a student loan. Finance Minister Jim Flaherty is to hold a press conference in Ottawa Wednesday to unveil the series of recommendations from the Task Force on Financial Literacy that he struck in 2009. There are 30 recommendations in all, according to a source familiar with them, and they cover everything from pension plans to school curriculum. 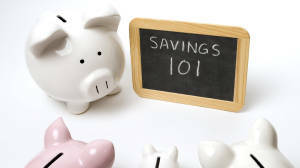 The idea is to spur Canadians of all ages and walks of life to learn better money management, helping to mitigate economy-wide headaches such as excessive debt loads and a potential pension crisis. The task force’s report asks provincial governments to bolster money management education in the school system, and suggests that large public corporations should have to disclose what they are doing to further the cause. The task force, chaired by Sun Life Financial Inc. chief executive officer Don Stewart, has based many of its recommendations on research it commissioned; that, too, will be released today. For example, the research shows that many Canadians aren’t accessing government benefits that are available to them because of complexities in the system and a lack of information. The panel has also drawn on insights from behavioural psychologists to find ways to nudge Canadians toward better choices. An example: Research suggests that when a person knows they will be receiving money, but don’t yet have it, they are more likely to consider saving it that when they have cash in hand. With that in mind, the task force is telling Ottawa to change tax return forms so that consumers can opt to have the money deposited straight into a long-term savings account such as an RRSP. The report calls on the federal government to appoint an individual who will be the country’s Financial Literacy Leader, accountable to the Finance Minister, to oversee the implementation of these recommendations. Mr. Flaherty is expected to take action on the report relatively quickly because improving Canadians’ financial knowledge is a key issue for him. The report is being made public as Ottawa grapples with record consumer debt loads. Last month, Mr. Flaherty announced a series of measures designed to curb the growth of mortgage debt levels, including cutting the maximum term of insured mortgages to 30 years from 35 effective March 18. Click here for more details from the Task Force On Financial Literacy website.could fuel economic growth. They are now dealing with the ramifications.